Sometimes loving well is helping a neighbor move. Sometimes it’s building a relationship with someone in prison or at a homeless shelter. Sometimes it’s as simple as picking vegetables or painting a mug. Investing in others can be risky and inconvenient, but it’s also incredibly worthwhile. 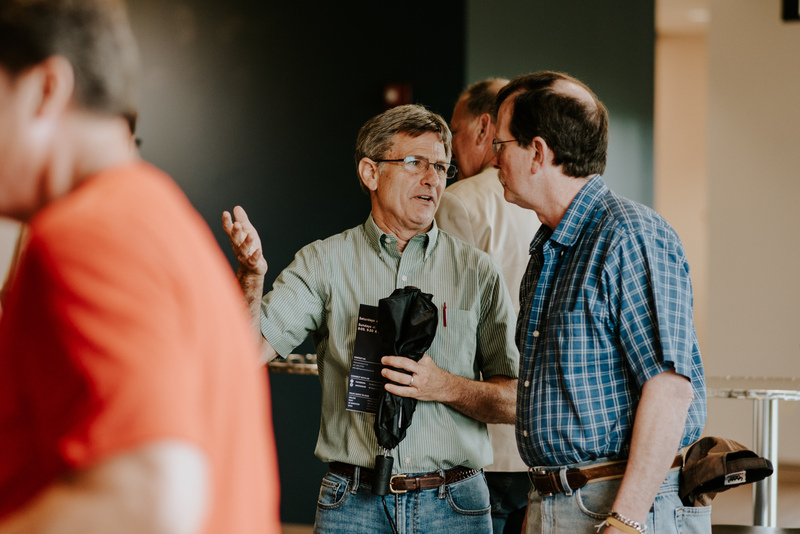 We want to help you love your neighbor by connecting you with our amazing ministry partners in our community. When you financially partner with LifePoint, you partner with all the local non-profits listed below. You can also give generously of your time and resources to be part of what these organizations do right here in our local area. Whatever you are passionate about, we can help you actively love your neighbors. Alpha Pregnancy Center walks with women step by step. We’re not here to judge or tell them what they should decide. We are here to listen to their needs. All our services are confidential and at no cost to the recipient. One of the ways individuals and groups can partner with Believe Big is by painting Believe mugs. These mugs are given to cancer patients as a source of encouragement and hope. The Community Crisis Center, Inc. (CCC), dedicated to the prevention of homelessness, works to guide individuals and families out of poverty and onto the path of self-sufficiency. We support those living in need in Reisterstown, Owings Mills and Glyndon with emergency food items, personal hygiene products, clothing, school supplies, financial literacy as well as information and referrals to other area services. Volunteers can help organize the food pantry or to donate basic needs like food, school supplies, toiletries and clothing. First Fruits Farm is a non-profit Christian ministry dedicated to providing fresh, nutritious produce to those experiencing hunger in the Mid-Atlantic region. Since 2004, thousands of area volunteers have helped harvest over 13.4 million pounds of fruits and vegetables to share with local food banks, homeless shelters, soup kitchens and other food providers. First Fruits Farm welcomes individuals, families and groups to come and help harvest fruits and vegetables during the harvest season (July – November). You can even become a regular farm hand! Good News Jail & Prison Ministry places Christian chaplains in jails and prisons to minister to the spiritual needs of inmates and staff. Good News has developed several practical, life-giving programs that introduce inmates and staff to Christ and help them grow in their knowledge of Him and His Word. At the same time, the chaplains facilitate other religious faiths within the guidelines established by law and the individual correctional facility. Helping Up Mission is a community of hope. We help men fighting addiction and homelessness get their lives back. Our comprehensive recovery programs address root issues of substance abuse and poverty. As one man is healed, Greater Baltimore is raised up. Volunteers at Helping Up Mission (HUM) can help with meal service, education tutoring, or by providing professional services pro bono. LifePoint has a regular team that serves at HUM once per month. The American Cancer Society Hope Lodge program provides a free home away from home for cancer patients and their caregivers. More than just a roof over their heads, it’s a nurturing community that helps patients access the care they need. Each Hope Lodge community offers a supportive, homelike environment where guests can share a meal, join in the evening’s activities, or unwind in their own private room. LifePoint sends a team to the Baltimore Hope Lodge monthly to prepare dinner for the residents and spend time visiting with them. Human Services Programs (HSP) give hope, inspire change, and provide opportunity by mobilizing our community in the fight against poverty. Over the past 30 years, HSP developed programming to meet the unique needs of Carroll County residents struggling with poverty. Each of our eighteen current programs was created in response to an unmet need in our community. Multiple LifePoint small groups and individuals volunteer at various shelters run by HSP of Carroll County. Volunteers can get involved in many ways. Whether you want to work hands-on with clients or are more comfortable in a behind-the-scenes role, we can match you with a rewarding volunteer experience that will give you an opportunity to make an impact right here in our community. The mission of Kairos Prison Ministry is to share the transforming love and forgiveness of Jesus Christ to impact the hearts and lives of incarcerated men, women and youth, as well as their families, to become loving and productive citizens of their communities. Kairos operates three different programs, one for inmates, one for women who have been impacted by incarceration and one for incarcerated youth. There are many opportunities to serve in Kairos Prison Ministry, including visiting inmates, baking cookies, praying or creating artwork for prisoners. New Life For Girls introduces women ages 18 and up, as well as mothers and their children, to a new way of living. We provide a comprehensive 24 hr. residential program for those who are struggling with life-controlling problems such as drug and alcohol addiction, eating disorders, and sexual abuse issues. In a safe and loving environment, lives are changed and transformed. LifePoint groups and individuals regularly visit and partner with the residents of New Life in a variety of ways. Many have developed ongoing relationships with the residents and staff. Safe Families for Children mobilizes a network of compassionate volunteers to wrap around families facing crisis. While some volunteers temporarily provide housing for kids, others step in to mentor parents and help them achieve their goals. These supportive relationships provide the safety net many vulnerable families need to keep children out of the foster care system and achieve long-term stability. In Maryland, Safe Families™ is implemented through a local organization called Building Families for Children. The Westminster Rescue Mission is a faith-based, residential recovery center. This outreach ministry is deeply committed to helping men overcome the chains of addiction in an environment that is Christ-centered, therapeutic and dedicated to their physical, emotional and spiritual well-being. Westminster Rescue Mission also partners with local churches, businesses, social service organizations, caring supporters and volunteers to provide ministries of relief, rescue and other services for individuals and families in need. Volunteers can help out in a variety of ways, including at the men’s Residential Program, the Food Distribution Program, the Mission Store or for special events. Cru is a place where college students will find real friendships, real community, and real faith lived out by their fellow students. Baltimore Cru is a community where the gospel captures hearts, transforms lives, and launches men and women into a lifelong adventure with Jesus Christ. Baltimore Cru currently includes movements from Towson University, University of Maryland-Baltimore County (UMBC), Stevenson University, Johns Hopkins University, Howard Community College, Carroll Community College, and Harford Community College. Since 1954, the Fellowship of Christian Athletes (FCA) has been challenging coaches and athletes on the professional, college, high school, middle school and youth levels to use the powerful medium of athletics to impact the world for Jesus Christ. FCA is initiated and led by student-athletes and coaches on four middle schools, eight high schools and one college campus in Carroll County. The programs of the Campus Ministry include Student Huddles, Character Coaches, Team Bible Studies, Coaches Huddles, and Special Events. InterVarsity Christian Fellowship (IVCF) is a campus ministry found on over 550 college campuses nationwide. We believe that whoever finds God, finds life! Our vision is to see McDaniel students transformed, the campus renewed, and world changers developed. Young Life doesn’t start with a program. It starts with adults concerned enough about kids to go to them, on their turf and in their culture, building bridges of authentic friendship. Kids’ lives are dramatically impacted when caring adults come alongside them, sharing God’s love with them. Because their leader believes in them, they begin to see that their lives have great worth, meaning and purpose. Youth for Christ (YFC) reaches young people everywhere, working together with the local church and other likeminded partners to raise up lifelong followers of Jesus who lead by their godliness in lifestyle, devotion to the Word of God and prayer, passion for sharing the love of Christ and commitment to social involvement. Every day at thousands of community centers, high schools, middle schools, juvenile institutions, coffee shops, and local hangouts, YFC staff and volunteers meet with young people who need Jesus. We are rural and urban, and we are always about the message of Jesus.